The LDS Church’s super-exclusive claims do not directly lead to atheism, but they do disqualify other theistic options. Christianity claims to be the truth to the exclusion of other candidates, like any other religious movement. Mormonism, however, is even more exclusive, claiming to be the only true version of Christianity. Mormonism teaches against any traditional form of Christianity with every unique teaching and claim it presents as superior to Christian teachings and claims. LDS authority, teachings, ordinances, organization, gospel, and Holy Spirit are, at best, supplemental to Christian ignorance or, worse, restoration of things lost in traditional Christianity. Or, worse still, the LDS Church is the only truth among corrupted Christianity. Christianity claims its teachings are true and other religions are false. However, Mormonism does not just claim that it is true and Christianity is false, but that, as it is the restoration of Christianity, Christianity is not just false but corrupted. LDS members have actually said that if the LDS Church is not true, then nothing else is. It is this mindset, cultivated by the LDS Church, that exemplifies the thesis that LDS teachings lead their members closer to atheism. There are two subtle dynamics in Mormonism that are related to the undermining of other theist options. First, the LDS Church does not give any reasons to believe in God outside of Mormonism. There is some passing mention of nature showing that God exists, always in reference to the Bible’s verses saying so, but nothing else. This comes about from the fideistic dependence on the prayer experience and the LDS Church’s continual focus on itself being the one and only true church. Since the prayer experience is taught to be the only way to “know” anything about God, other reasons are not emphasized, if not ignored completely. The LDS Church also focuses so much on its own legitimacy as the only true church of God that little to nothing is taught about the legitimacy of God’s existence. 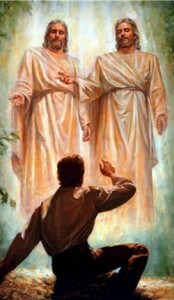 In practice, then, Mormons are effectively taught to only believe in God by their prayer experience and continuing experiences in the LDS Church such as “feeling the spirit” and claims of priesthood power manifested; things Mormons are taught to recognize as true spiritual experiences. Second, the prayer experience epistemology of Mormonism, its fideist basis for belief, like all fideism, implicitly denies that there is any good enough reason to believe in God. The Church of Jesus Christ of Latter-day Saints incessantly teaches its members that the prayer experience is the only way to “know” and thus implicitly teaches that all other evidence or rational means of seeking Truth is insufficient. By focusing on and relying fideistically on the prayer, the LDS Church makes its members into believers who are only a few spiritual impressions and a prayer from being agnostics. Agnosticism is the position that the evidence and the rational arguments for and against the existence of God are inconclusive. Because the teaching of The Church of Jesus Christ of Latter-day Saints insists that prayer is the only real way to determine anything about ultimate truth, it trains its members to view all physical evidence and rational argument to be insufficient and even suspect. The members of the LDS Church are taught and trained by their own church to be agnostic about God’s existence in respect to all evidence, except their prayer experience. When the member realizes that the evidence against the authenticity of the LDS Church is insurmountable and that their prayer experience was mistaken, then they become certain about the falsehood of the church and, subconsciously, may remain biased against all other evidence and argument for God. Some atheists quip that as Christians deny the existence of other gods, atheists go one step further, denying just one more god. Whatever the merits of this point, The Church of Jesus Christ of Latter-day Saints makes that one step even easier to take. If all that exists is matter and laws, if God is a glorified human, if the glory of God is the eternal life and happiness of his eternal increase of posterity, if God evolved to godhood by being worthy and we can too, then the step from Mormon “theism” to atheism shrinks smaller and smaller. If Ultimate Truth can only be known by receiving an answer to your sincere prayer, if feeling the Spirit is always a good feeling, if feeling the Spirit can be experienced while watching heart-warming church-produced videos and other movies, then the “step” is on a steeper and steeper slope. If there is no reason good enough to believe in God or Jesus, if prayer is the only way to know and it is beyond any “anti-Mormon” argument, then there’s no place to catch your balance, no possibility of another paradigm in which rational and evidential argument and more complex forms of faith can coincide as an alternative to the step down to atheism. The descent into atheism is almost inevitable. Perhaps you believe that “God” means the Ultimate, the Source from which everything that exists came to be, and thus is the One that is independent of all and has always been. If this is your perspective, then as soon as Mormons embrace the god of Mormonism, who is not ultimate but contingent, just another part of what exists, who is subject to the laws of the universe, and depends on other gods and humans for his existence, they no longer believe in a “God” already. The Romans saw the first Christians as atheists just because they denied the Roman gods for their One Ultimate God. Latter-day Saints may be seen as already being atheists by those with a different idea of what any “God” ought to be, versus the deified supermen of Mormonism. I must admit that while receiving what I interpret as “answers to prayer”, I’ve become a lot more discerning as the years have gone by. Prayer was a big part of my Catholic up-bringing and training. As kids in Catholic school, prayer was the central focus of our faith in God. We went to Mass the first thing in the morning. Then started the school day with a standard “prayer” and following that we had catechism class. We prayed before dismissal for lunch and when we came back. We prayed before leaving school for the day. One thing, though. I can’t remember a nun ever training us that feelings had anything to do with any of it. Part of it may have been the recitation of the same prayers. However, we were encouraged to pray outside of the standard recitations. Oh, and we did say the rosary. I was trying to remember it the other day and could only get through part of it. With the number of times I prayed “Hail Mary full of grace the Lord is with thee. Blessed are’t thou among women and blessed is the fruit of thy womb Jesus.” you’d think I’d never forget the prayer. There’s more but that’s all I can remember. One thing that all of this training did was make a person reverent towards God and prayer. We were encouraged to petition God with our requests and thank Him for His granting of these (requests). We all prayed fervently that it wouldn’t rain on the day of the school picnic. It generally didn’t (rain). So what’s the point of my ramblings? While prayer is a foundational exercise and a necessity for people of faith, it has to be placed in context. Prayer without a proper understanding of who God is and without a firm grasp of the Scriptures can cause people to go off on all sorts of nefarious journeys and flights of fancy. It’s all like a clanging bell. But it does make people think they are super spiritual especially if they are placing their faith on a foundation of emotions. When Mormons discover Mormonism’s hidden contradictory doctrines and fabricated history, the one thing they seem to take with them when they leave the church is a thinly concealed sense of betrayal and disdain for all religious experiences. Mormons are generally not very analytical or intellectual, and it requires a major effort to persuade them that they’re being presumptuous and unreasonable when they throw out the baby with the bath water. Can the LDS church actually prove that they are the restoration of original first century Christianity? While I’m not an expert, I’ve studied enough of the history of the first four hundred years of the Christian faith to know that there wasn’t any Mormonism in it. Despite the claims of the LDS church that there was a conspiracy to keep Mormonism out of the Bible, there are all sorts of other sources to examine to see if there’s any Mormonism in the early Christian Church. What bothers me is that LDS folks just accept these nonsense statements by their church without question. But that’s the point I guess. Once the member gets the emotional buzz, they are no longer required or encouraged to ask any questions. You said, “Once the member gets the emotional buzz, they are no longer required or encouraged to ask any questions.” That’s absolutely true. In fact, even LDS who haven’t had an emotional buzz are discouraged from asking questions. There are countless LDS who have been brought into the Mormon Church via “friendshipping”; dating; church dances, basketball and scouting; business supervisors; family; and by other means without ever having experienced the emotional buzz you mentioned. And most of the members are perfectly content with that. In the event a believing Mormon should begin to have serious doubts about the LDS Church, two things immediately occur: (1) they desperately seek ways to remain in the Church, and (2) they entertain atheistic or agnostic thoughts. It’s almost reflexive. They feel tremendous social pressure from family and friends to stay in the LDS Church, while those agnostic tendencies referred to in this article drive them away from Christianity. As an example, consider this counsel given to closet doubters in a magazine designed specifically for them. The message is to lie about their doubts, while remembering that if the Mormon Church isn’t true, then nothing is. “You’ll need to learn to speak ‘truthfully but discreetly.’ When asked … Can you accept the president of the Church as a prophet, seer, and revelator? You might say, ‘Why not? No one else speaks for God…’ “ Sunstone Magazine, Spring 2015, p. 52. That’s a good summation of this thread and the toxic mindset Mormonism can foster in the lives of it’s adherents . Mormon leaders have claimed that the Mormon Church is ” the way ,the truth , and the life ” [ Marion G. Romney , Conf. Report April 1961 , p.119 ] . This is the great lie that can cause Mormons to dump Jesus and the good news His apostles taught in the New Testament after discovering that the authority of their leaders is a cleverly dressed up imitation and that Mormon leaders and their billion dollar corporation is actually a man made religious organization . For those LDS who have discovered the bitter truth about Mormonism and who may be struggling with what to believe now , please realize that your feelings are a normal experience given what you once embraced and the claim of authority by men over you that you once accepted as being from God . But these men ran way past what the New Testament reveals about acceptance by God and a fulfilling relationship with Him — Jn 14:6 is the simple “way” . Man tends to make God’s plan for mankind more complex than it actually is , and thus can build religious organizations that may look impressive and be appealing . However , the answer for every hurting or wondering soul is Jesus , a simple daily intimate relationship with Him , person to person . It’s easy to work ones self to the bone in a religious organization thinking that constitutes a personal relationship with Jesus . But that is a trap . Mormons need to know the truth that will set them free , and that truth is Jesus , not Mormonism . Mormonism is not original Christianity restored . That is a great quote! I haven’t got into the Sunstone materials and subculture much, at all. Given their desire to stay in the LDS Church despite their knowledge of the facts, it is not surprising that they might discuss among themselves how to get along or keep things smooth in their interaction with Chapel Mormons. The perspective may very well be – “I don’t (fully) believe in the LDS Church, but I don’t want members to know, and I don’t want to go anywhere else. I can’t tell them I believe or disbelieve the Church, but I can relate with members in disbelieving all other options/our common opposition to other options.” It may be completely unknowable how much of a factor this is, but it would seem to exist as one more motivation within the LDS Church culture that propagates anti-“other”-theism. I definitely want to use this example in the future and look into it more. Why are Mormons taught that “When the leaders speak, the thinking has been done”? Because they don’t have to do any thinking for themselves. They’ve out-sourced it to some guys who sit in the big chairs a top LDS head quarters in Salt Lake City. Now think about it. The proof of the truth (little rhyme there) that Mormonism is true is the feeling a reader of the BoM gets. I always wonder which edition of the BoM a person has to read in order to get that feeling and what edition has the “truth”. The BoM content has had countless changes to the text and the troubling thing, I would think for Mormons, is that the changes effect basic doctrines of Mormonism. And, according to Joseph Smith, the BoM is the most correct of any book ever written. Fascinating! So Moroni’s challenge is to read the BoM after praying of course and with a sincere and humble heart and what will follow is a “burning in the bosom” reaction which is to elicit a “Eureka, I’ve found the truth!” reaction by the reader. Hence not only is the BoM historically accurate and true, but then the entire LDS program, including the prophets of Mormonism, are true also. I’d call that “value added” because the promise is suppose to just be for the BoM. Is there anything in the BoM that is true? Well yes there is. It’s the huge sections of the Book of Isaiah which Smith copied wholesale from the King James Version of the Bible. I don’t doubt that copied portions of the Bible could make someone feel good. What about the testimony of Jesus? Sure, testifying about Jesus could evoke a positive emotions. So if I wrote a story and weaved into that story large portions of the Bible and positive messages about Jesus would that make the story true? Hardly. As difficult as it may be, Mormons need to jettison their “feelings testify to truth” and “feelings indicate that presence or absence of the Spirit” mindset. It’s all a setup that doesn’t say a thing about truth but more about a person’s emotional state at the moment. And that, can be easily manipulated. “….if the LDS church is not true then nothing else is.” The Mormon people have been set up , set up to be soured on anything spiritual , including a loving Savior Jesus and the God who loves them . Thankfully , despite what Mormonism can do to it’s adherents , not all ex Mormons give up on God . It’s not difficult to see how Mormons have been set up to become possible Atheists . The very foundational claim of Mormonism is that soon after the deaths of Jesus’ apostles there was a complete /universal apostasy and Christianity died off , disappeared and that salvation was not available to mankind for 1700 years until 1830 when Joseph Smith came on the scene . NO CHRISTIANITY AND NO SALVATION for 1700 years ! So Mormonism becomes Christianity , and it’s gospel becomes the true gospel. Given that type of lie it’s not difficult to see how some Mormons , upon finding out their leaders are not who they have claimed to be , dump the Bible and God altogether . We can’t blame some ex Mormons for succumbing to this type reasoning . It’s a truly sad reality . The simple and beautiful good news is that Mormonism is not the answer . The answer is not a church / religious organization , it is a person . Jn 10:9 ; Heb 7:25 . Many ex Mormons have discovered and embraced that truth . There are some who need to discover it . We pray for those . Quite frankly, no! It’s what I call “emotional rewards”. The buzz is the pay-off making the person feel good and sort of special. It’s when people are seeking these emotional rewards that they are most vulnerable to manipulation. In Mormonism the feeling is more important than the evidence. I’d hate to have these folks sitting on a jury with that mind-set. Once the feelings are challenged the evidence leads the Mormon out of Mormonism. This may be more difficult for some than others depending on their personalities and emotional needs. Here’s the answer. Jesus says to come onto Him all of you who hunger, thirst and are tired. He is the Bread of Life, Living Water and provides rest for the spiritually weary.